Sometimes joy is truly wrapped up in a box with a bow. At least when it comes to Cupcake’s sweet treats. But these aren’t just cakes, they are perfectly constructed, lovingly made, life-improving works of art. Almost too beautiful to eat. Almost. Tucked away on Bell Street, this magical Merchant City shop offers the most extraordinary selection of delights. And the icing on the (cup) cake is the helpful staff who are just as sweet as their melt-in-your-mouth creations. Double-choc, cookie dough, luscious lemon – oh my! From classics like vanilla and double-chocolate to new sensations like the utterly delish red velvet, cookie dough and luscious lemon, it’s impossible for me to pick my favourite. But I don’t have to. 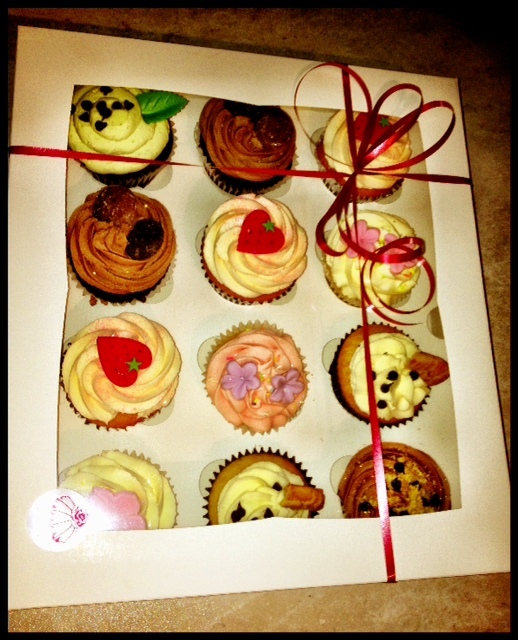 In fact, Cupcake makes choosing the perfect variety easy with their handy box of specialty selections. Or of course you could just have one – though surely joyful discoveries like this are best shared. So the next time you want to treat yourself – or do something extra fabulous for someone, forget about the chocolates and wine and dazzle them with a little piece of edible perfection from Cupcake. And if you’re feeling particularly inspired, you can join the lovely ladies as they reveal their sweet secrets during their cupcake decorating classes.